Unfortunately we don’t see these anymore, attached at the end of a long freight train. This one is on display at the Danville, Virginia Amtrak station. 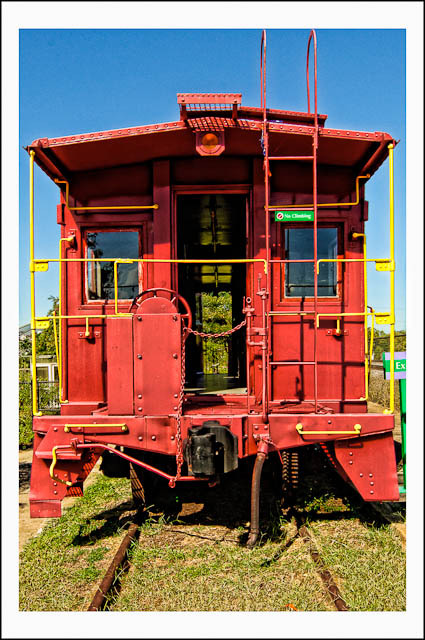 I once rode in such a railcar when I was in the Army, when it was attached at the end of a 100 car train hauling equipment from the unit I was assigned to at the time. That’s another story. Nikon D300, processed in Lightroom v3.2.